We are proud to offer the highest level of nutritional analysis available by providing patients with a Science Based Nutrition™ report and recommendations. Science Based Nutrition™ uses the latest in diagnostic testing, (blood, heavy metal, toxic element, tissue, mineral and urinalysis, etc. ), to reveal nutritional deficiencies, illness, or tendencies toward disease even before symptoms have manifested. Using these valuable tests, we are able to make specific dietary, supplementation and lifestyle recommendations and monitor your progress through re-testing. The examples shown are documented cases of patients who have used the Science Based Nutrition™ report and clinical nutrition program to help in their healing. Please note that we treat the PATIENT, not their disease, but many of the people that come in do so for an alternative approach to their diagnosed condition. Reversing diabetes - In just 3 months this patient improved: triglycerides down 129 points; increased energy; glucose level down from 274 to 120; thyroid showing improvement; dropped 30 pounds. Nutrition for severe fibromyalgia and chronic fatigue: In just 3 months her liver enzymes within normal ranges; thyroid improved; allergies improved. Update: dismissed by neurologist; down to 1 medication; thyroid nodule gone. Fibromyalgia pain, insomnia, indigestion, brain fog, & other symptoms can be caused by mineral imbalances, chronic infections, parasites, enzyme deficiencies, toxicity & more. We don't know what is holding you back until we do our thorough testing and customize a plan for you. We treat the person, not the condition, but there are alternative solutions for a potentially debilitating arthritis. Early onset Alzheimer's disease: In just 4 months: memory improving; anxiety reduced; able to concentrate; sense of humor returning; more animated. Follow-up: patient was able to get license back after failing Alzheimer's tests with his MD! Alzheimer's is listed as the 6th leading cause of death. Typically affecting those over age 60, this debilitating condition robs a person of their memory, humor, affect. But there is much that may be helped by nutrition, addressing the deficiencies found and helping the body eliminate toxin stores can go a long way to slow the progression of this illness. ​Chronic fatigue can have MANY causes -- nutritional imbalances, hormone imbalances, toxins, parasites - they all can wear down your system. In this mini case, the cause was heavy metals - testing that we do that hardly anyone else looks for. After helping her clear toxins, her symptoms greatly improved. In just 2 weeks: tumor marker dropped 106.9 points! Patient declined chemo/radiation due to results. Update: tumor marker CA 27.29 dropped to 19.5 (below clinical levels)! This case is of breast cancer, but any systemic illness needs a thorough functional medicine evaluation to help find what systems and organs need supported and provide the body what it desperately needs through clinical nutrition. Some may be able to go into remission with the help of nutritional support. Others may enjoy a better quality of life than they otherwise likely would have had until the end by supporting their body with clinical nutrition. This 77 year old woman with diabetes, HBP, and high cholesterol contracted MRSA during a hospitalization and then a fungal infection over much of her torso and underarms. By running SBN testing, she was found to have low vitamins, high inflammation, and poor diabetes management. Nutrition helped her restore her function across the board and improved her rash, where creams and pills had failed. In just 5 months: can walk up/down stairs; more independent; vision better; able to walk on toes; increased energy; off medications. Update: forget walking, she now dances regularly with her husband! Here is yet another case where heavy metals and held in the body and functional imbalances lead to neurological degeneration. When was the last time YOU were checked for toxicity? Probably never! When your body is toxic and can't heal and repair all the damage going on fast enough to get ahead, widespread symptoms happen. With proper nutrition counseling and testing/retesting to endure it's working, monumental improvements can be made. Your body WANTS to heal itself. 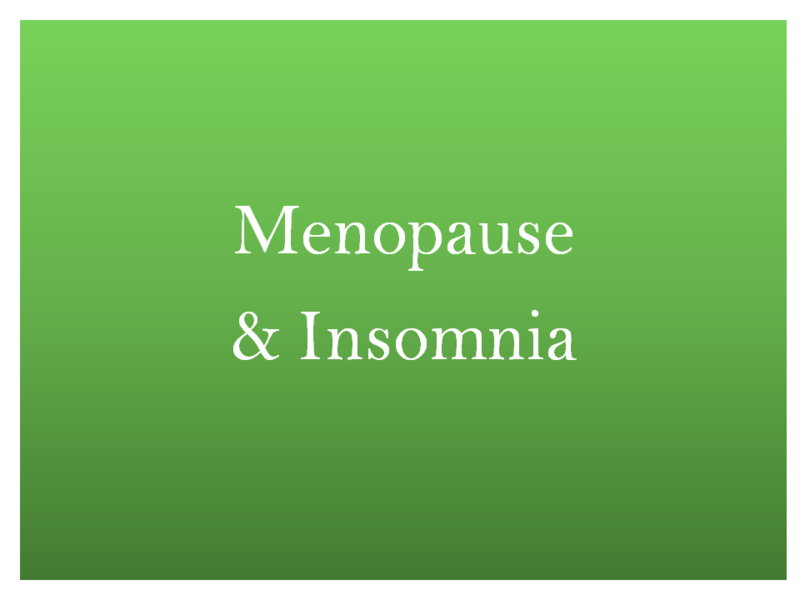 Menopause, insomnia, and anxiety: In just 3 months: night sweats gone; weight stabilized; hives gone; stopped taking Xanax. In 9 months: anxiety down; appetite improved; blood pressure normal; hot flashes and shakiness improved; off all medications. ​This patient’s anxiety took over her life. She went to her doctor who prescribed two anxiety drugs. Was she anxious? Absolutely! But why? Lead levels accumulated in her body to the point they were actually interfering with and shutting down the tools needed for everyday function. Once we’ve analyzed the patient’s imbalances, we can then map out a course of action to replenish her body with the essential elements and minerals needed to return her to an optimal state of health. 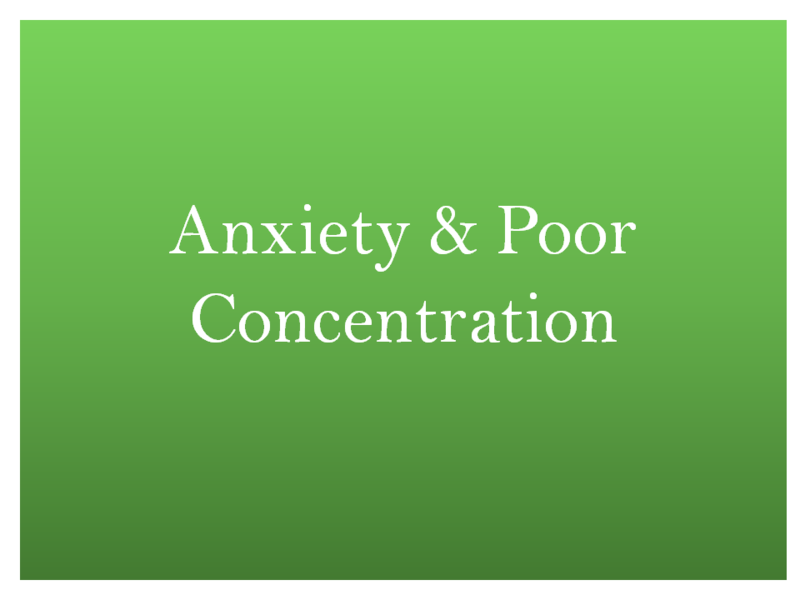 Anxiety help: In just 2 months: night sweats nearly gone, no depression symptoms, increased energy, sleeping 6 hours/night, excessive hunger under control, off all 5 medications. The 33-year old patient presented with General Anxiety Disorder (GAD), concentration problems and memory loss. She was already taking a basic multi-vitamin and an enzyme therapy supplement as well as 5 different drugs to control her anxiety, depression, headaches, constipation and an infection in her ears. Her testing did not reveal any values outside of clinical ranges (so her conventional doctor would have said "all normal") but FUNCTIONALLY several were out of ideal ranges. Supporting those areas enabled her to turn her condition around. Hormone imbalances and vision problems from parasites? 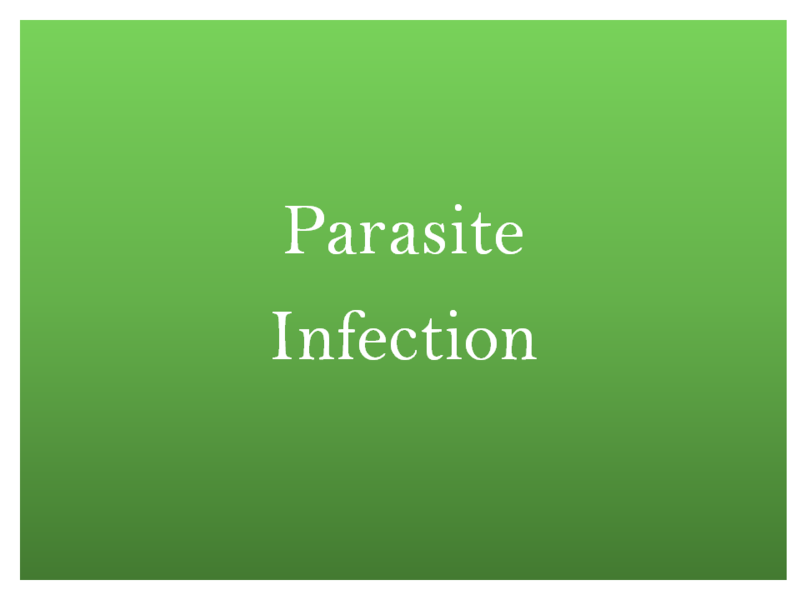 After treating for parasites: chronic fever gone; sensitivity to light gone; hormone problems resolved; GI symptoms gone; weight gain ceased; off all medications. 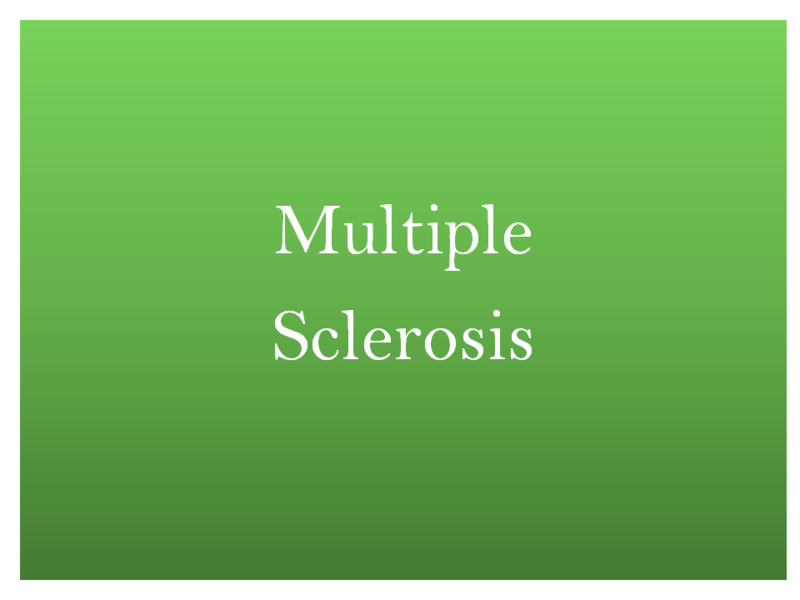 After going to 7 doctors without relief, changing her diet, and being put on several medications to try to manage her symptoms, her SBN testing revealed several nutrient deficiencies. But this case has a twist... when she didn't respond as well as expected to her program, the key is WE KEEP LOOKING. Turns out, she had atypical presentation of parasites. Her nutritional parasite cleanse allowed her to pass several tapeworms - the first one within 3 days! and her symptoms were gone! ​Results will vary based on patient ability/willingness to follow the recommended nutritional protocols, among many other factors. Any suggested nutritional advice or dietary advice is not intended as a primary treatment and/or therapy for any disease or particular bodily symptom. Nutritional counseling, vitamin recommendations, nutritional advice, and the adjunctive schedule of nutrition is provided solely to upgrade the quality of foods in the patient’s diet in order to supply good nutrition supporting the physiological and biomechanical process of the human body. Iowa Functional Health is an alternative health provider in Des Moines, Iowa. ​The information on this website has not been evaluated by the FDA and is not intended to treat, cure, or prevent any disease.